At Smartfilm, we are truly passionate about our work. When something new happens in the world of window tinting, we feel excited and can’t wait to share the news with all of our customers in Mesa, Az. The car window tinting that is being manufactured today is truly amazing; it’s literally revolutionizing the way we drive. And we think that everyone should know about it. 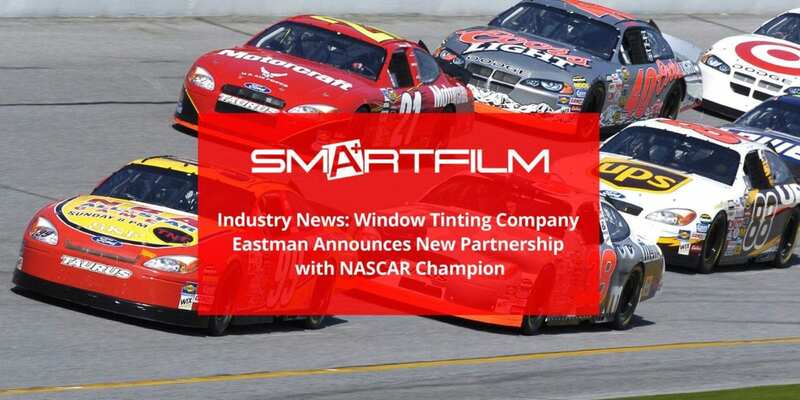 That’s why when we heard that Eastman Performance Films, an industry leading window tinting manufacturer that’s been around for decades and whose products we proudly use, was teaming up with the NASCAR champions at Hendrick Motorsports, we were thrilled and we just had to share the news. A few months ago, representatives from Eastman announced a new partnership with Hendrick Motorsports, a 12-time NASCAR Cup Series Champion. The announcement took place in sunny California at an Eastman Elite Dealer Conference in San Diego. The company announced that they will be entering into a 3 year agreement with Hendrick Motorsports as an official sponsor for driver Alex Bowman, who is current a contender for the upcoming NASCAR Playoffs. The auto window tint from Eastman that will be featured is their car window tinting line from Llumar. Both windshield film and paint protection film will be installed on the team’s racing vehicles. The company has added a landing page to their site to provide more information on this topic to those who are interested. Llumar Window Films are one of the highest quality car window tinting products out there. At our window tinting shop in Mesa, we feel confident using Llumar Window Films because they are incredibly reliable, they look beautiful, and they last for an extended period of time. Some of the best results we’ve seen from window tinting installs we’ve performed are from Llumar Window Films. Curious to know more about Llumar Window Films or other window tinting products? Call our Mesa window tinting experts to get more information! We will be more than happy to answer any questions you have or schedule a time for you to come into the shop to have new car window tinting installed for your vehicle.